Kids will be inspired by the compelling story of David The Admiral Robinson, who went from the Navy to the NBA, becoming MVP center for the San Antonio Spurs. When David Robinson became MVP center for the San Antonio Spurs, he seemed to have it allfame, success, wealth, and a wonderful familybut he didnt feel complete until he found his faith. This is the true story of one mans disciplined life, how he excelled in academics and sports, and who isnt afraid to share his utter devotion to God. 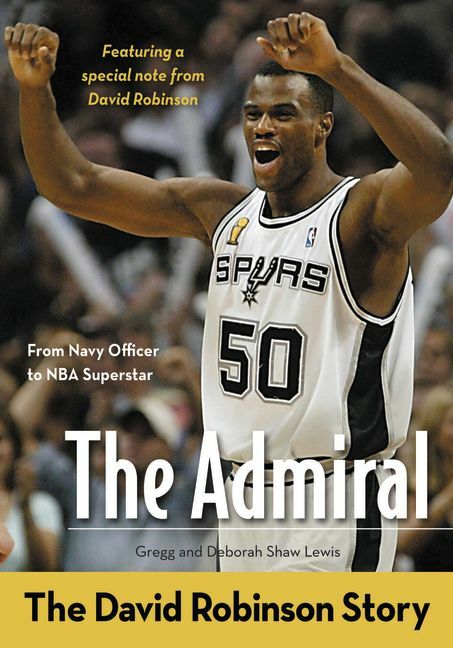 Admiral The David Robinson Story by Deborah Shaw Lewis; Gregg Lewis was published by Zondervan in September 2012 and is our 24135th best seller. The ISBN for Admiral The David Robinson Story is 9780310725206. Be the first to review Admiral The David Robinson Story! Got a question? No problem! Just click here to ask us about Admiral The David Robinson Story.